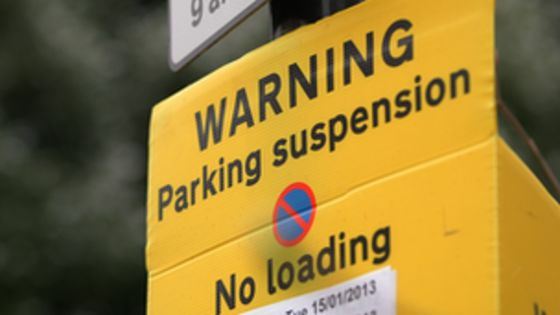 Parking bay suspension may be a thing of the past in Greater London for various of reasons. In some cases it is necessary, but let’s focus on parking in Islington Council here. Parking Suspension. Do you need it when moving? To start with, parking in Islington in terms of bay suspension booking process is a real pain in the neck. As pretty much everywhere, transition to 21st century seems much more difficult for any government bodies then individuals or private sector businesses. You have to find appropriate website, download a form, print it, fill it scan it and send it by email. If you’ve done everything correctly, then great! The only thing left is to call the council (sic) and make a payment. As we all know, there are already 1 million things to worry about when moving home. Organizing parking process does not make a move any easier. This is why companies like Removals and Storage Experts LTD offers their clients parking reservation for them. Let’s keep in mind though, that in most cases reserving a parking is not possible to begin with. most councils require 10+ days notice to suspend a bay and we know that 9 out of 10 times the confirmation that you are in fact moving comes 7 days before actual moving date. So what does this mean for parking in Islington, really? First of all, as the costs involving moving are already high, so you are saving money (currently £91 per bay). On top of that you are also saving so much time, by not filing or sending any forms. Most of all there are less things to worry about. You’ll book a moving company, they arrive and start the job.